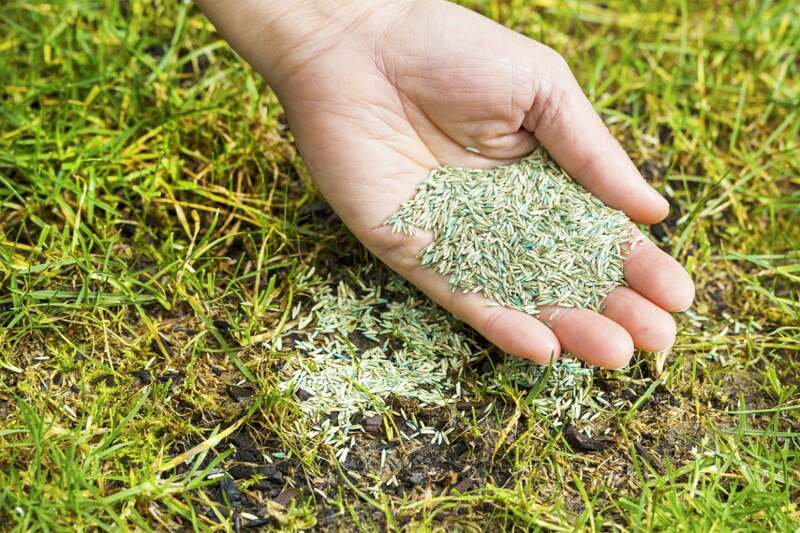 For a lush lawn that comes in quickly, plant these grass seeds sure to grow in a jiffy. Q: I want to reseed some bare patches on my lawn—and don’t want to wait too long to see results. What are the fastest-growing grass seeds? 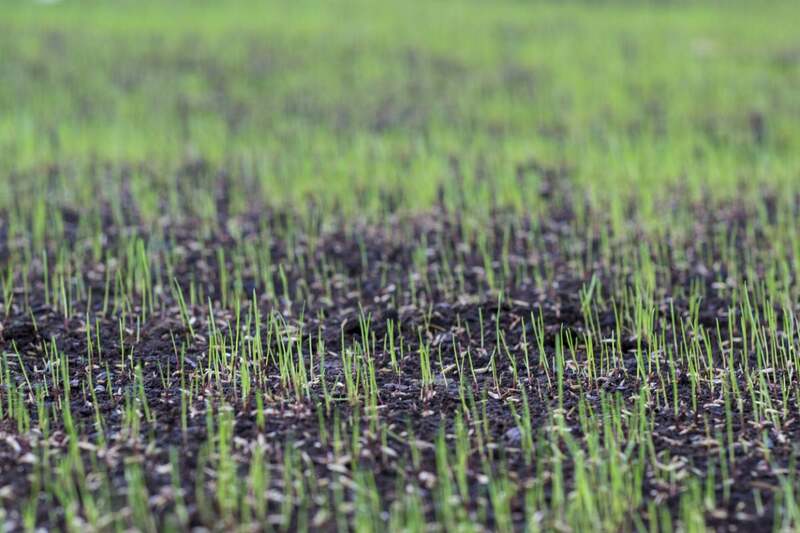 A: Waiting for typical turf grass seeds to sprout and mature can be like—well, watching grass grow! After all, the average grass seed can take eight weeks or more to germinate (i.e., produce seedlings that emerge from soil) and turn into an established lawn that’s ready for foot traffic. Fortunately, fast-growing grass seed can go from seed to turf in as little as five weeks—an advantage when seeding bare soil or reseeding patches left by erosion or pets. Read on for the low-down on which seeds to sow for speedy, lasting grass growth. Choose a grass that thrives in your climate zone. Not all fast-growing grass may tolerate the temperatures where you live, so select the right seed for your climate zone: either cool-season or warm-season. Cool-season grasses thrive in places with temperate summers and many below-freezing winter days—think Northern California, the Pacific Northwest, the upper Great Plains, the upper Midwest, and New England. Warm-season grasses grow best in areas that see hot summers and milder winters, such as the Deep South and the southeast. Live in the “Transition Zone” between the north and south (e.g., from Southern California going east to the Virginias)? Both cool- and warm-season grasses will grow well, so take your pick or plant a warm-season grass first, then overseed it (plant over it) with a cool-season grass. The fast-growing cool-season grasses include ryegrass, rough bluegrass, and tall fescue. Ryegrass seeds (both perennial and annual) germinate in five to 10 days and yield an established turf of shiny, fine-textured, dark green blades within five to eight weeks of seeding. Rough bluegrass seeds take seven to 10 days to germinate and mature into a fine-bladed, light-green turf within 5½ to 8 weeks of seeding. Tall fescue seeds need seven to 12 days to germinate; they typically grow into a moderately dense, medium to dark green turf within 5½ to 8½ weeks of seeding. The fast-growing warm-season grasses include Bermuda grass, centipede grass, and buffalograss. Bermuda grass seeds germinate in 10 to 30 days and form a dense, dark green established lawn within six to 11 weeks of seeding. Centipede grass seeds need 14 to 21 days to germinate and mature into a turf of wispy, light green blades within 6½ to 9½ weeks of seeding. 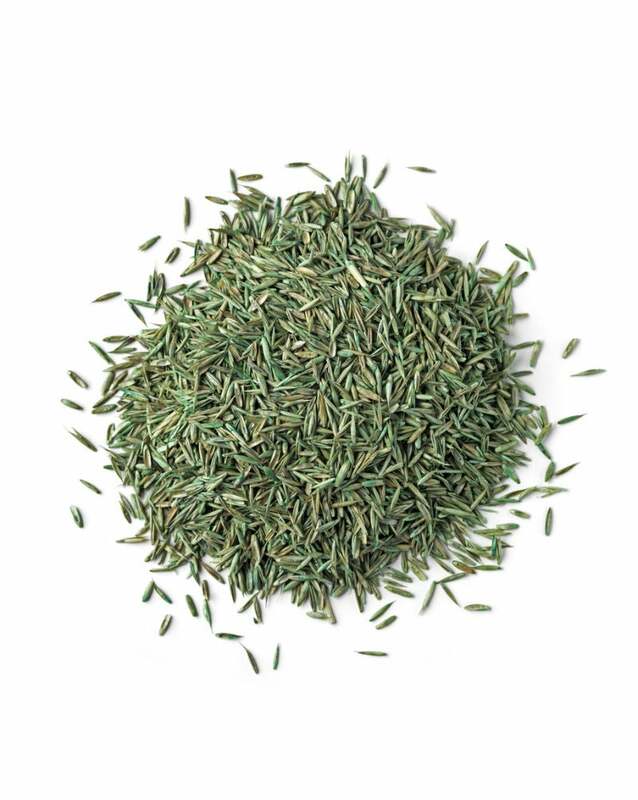 Buffalograss seeds take 14 to 30 days to germinate and form a thin, softly-colored blue-green established turf within 6½ to 11 weeks of seeding. Time grass planting for speedier growth. Plant during the seeds’ active growth phase to ensure that grass will grow within the shorter period of the growth ranges listed above. Generally speaking, plant cool-season grasses in early fall or spring, as these seeds germinate fastest when soil temperature (as measured by a soil thermometer, available on Amazon) is between 50 and 65 degrees Fahrenheit (this usually corresponds to a daytime air temperature between 60 to 75 degrees Fahrenheit). Plant warm-season grasses in early summer or spring, as seeds germinate the fastest when soil temperature is 70 to 90 degrees Fahrenheit, which usually corresponds to a daytime air temperature of 80 to 95 degrees Fahrenheit. Overseed warm-season grasses with cool-season grasses for faster turf growth. As indicated by the growth periods above, cool-season grasses grow faster on the whole than warm-season grasses. So if you live in a warm or transitional climate zone and will be growing a warm-season grass (e.g., Bermuda), consider overseeding it with a cool-season grass like Ryegrass. You’ll see grass sprout sooner thanks to the faster-growing cool-season grass and eventually get the benefit of a more heat-resistant lawn when the warm-season grass grows. 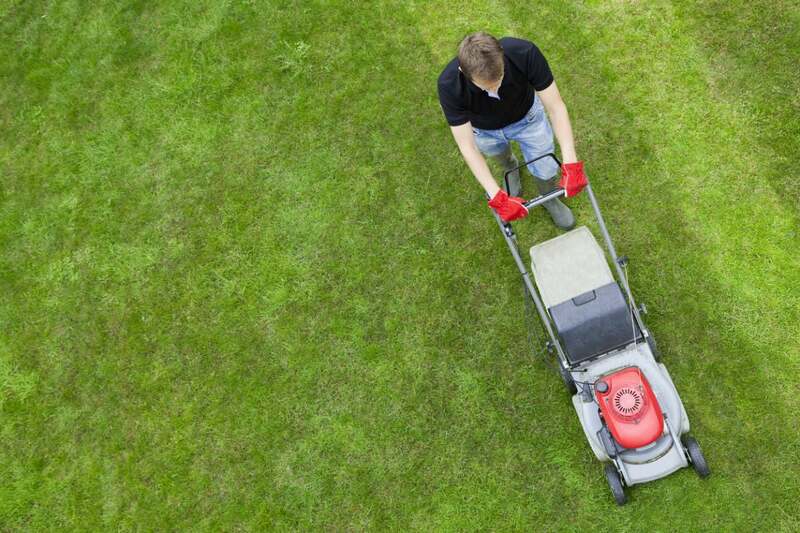 Not surprisingly, fast-growing grass requires more mowing to keep blades at the optimal height recommended for the species (usually listed on the seed packaging). While the typical lawn may need mowing every one to two weeks, the speediest of the fast-growing cool- and warm-season grasses demand more frequent mowing to keep turf tidy. For example, Bermuda grass generally calls for mowing every five to seven days to keep it at an optimal height of one to two inches, while ryegrass needs a trim every seven to 10 to days to maintain a height of 1½ to 2½ inches.